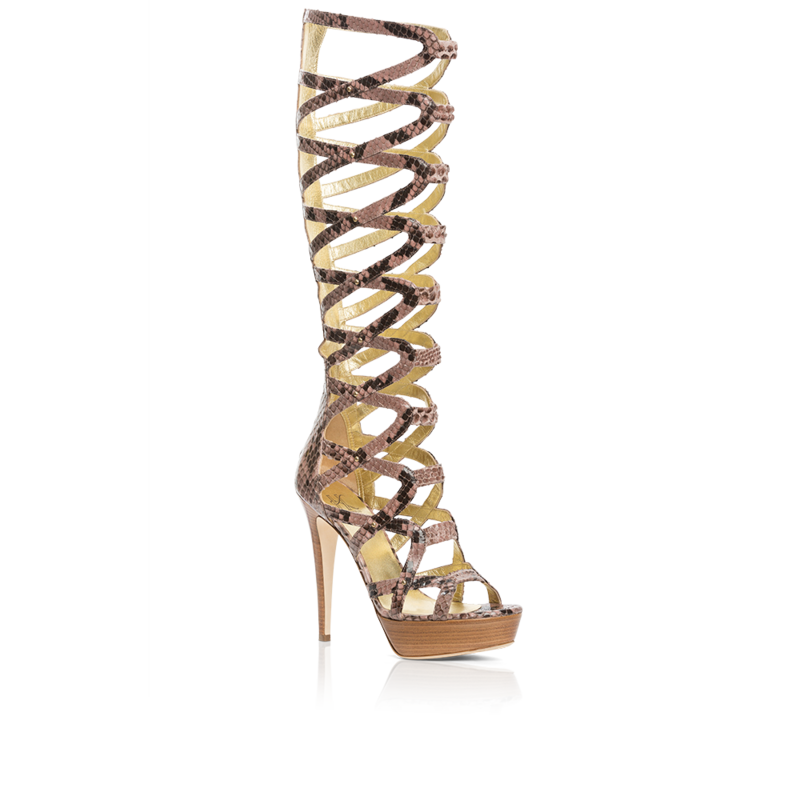 Sand python gladiator stiletto with stud detail. Gold zipper at back. A wood veneer platform marries comfort with style. Platform height: 1.2. in./ 30 mm. All shoes fit true to size. If you are a half-size, try a size up.